I ran across Landon Williams on LinkedIn while doing my regular research. His client list reads like a Fortune 1000 company lineup: AT&T, Sprint, Home Depot, InterContinental Hotels Group, American Express, and more! We talked about Landon’s time at his alma mater and how that helped shape him as a designer and as a business owner. Enjoy! My name is Landon Williams, and I am a UX designer, front-end developer, and entrepreneur. I graduated from the Art Institute of Atlanta (AIA), and I run Easyboyweb, a company that helps small businesses and startups with their online presence. Did you first get involved with web design at AIA? What was your time like there? I took a web design course in high school and a recruiter from AIA came to speak about what the school had to offer and what a career in web design looked like. I became more interested and visited the school and felt like it was for me. I really liked it because of the non-conventional approach they took which was different from a regular university offering just computer science courses. I felt like AIA had a better and more solid education on the arts, design and multimedia, information architecture, and usability. I learned from some very well known web designers and that first-hand knowledge was priceless. One of my favorite teachers there – Aarron Walter – had written several books and was responsible for MailChimp‘s UI and UX. A lot of people I went to school with went on to become very successful in their careers, and I think AIA gave me a pretty good edge in the workplace as well as with being able to service my own clients. 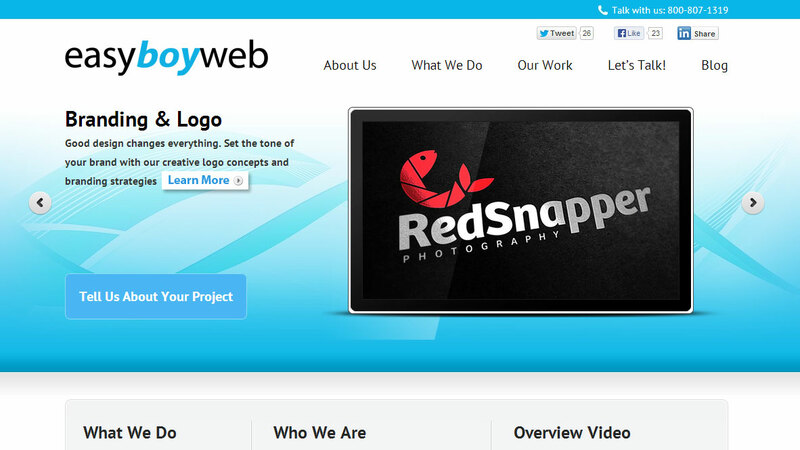 Speaking of clients, let’s talk about Easyboyweb. How did you get started with your business? I wanted to take my freelance business a little more seriously and brand myself, so I created Easyboyweb with the vision of helping small businesses easily understand the value and process of getting their presence online. I started out doing Flash development and animation and got more into user-centered design and IA. 2006 was a transition period for UI/UX. WordPress was becoming more popular as a CMS and businesses were understanding the need for a site that converted and gave their users a great experience. I wanted to focus on startups and small businesses. What’s a typical day like for you? Walk us through it. I’m usually responding to inquiries from potential clients, documenting any tasks that need to be completed on projects, following up on client emails, gathering content or other project requirements, designing layouts and wireframes, or doing any front-end development work. Sometimes my work days are scattered depending on my workload, and sometimes I overwhelm myself. I’m still working on that work-life balance concept. I constantly check on award-winning blogs and showcase websites. I research new trends, styles, and patterns. I study usability concerns. I read different art magazines and publications. I also get good energy and perspectives by being around other great designers and developers. I also love traveling and try to do that as much as possible. Yes! I was into music, drawing, basketball, and fashion. I loved things that allowed me to showcase my individuality, creativity, and style. I liked different genres of music, and was also a huge fan of OutKast. Have you had any mentors to help you along the way? I studied a few good usability guys like Aarron Walter, a big UX guy who was also my teacher at AIA. Are you involved in the local tech/design scene in Atlanta? Not as much as I would like to be. I want to create some type of resource that encourages other young people to get into this field, as well as teach them about entrepreneurship and understanding its value and importance. I get some pretty unique project requests. 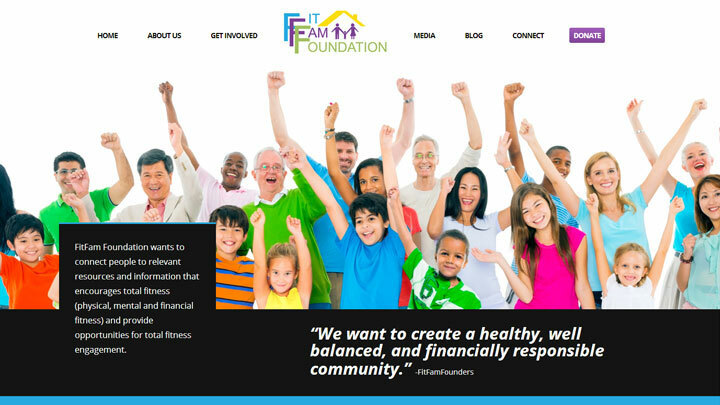 For Easyboyweb, I’m taking care of some custom WordPress sites for non-profit organizations and startups (I really enjoy helping startups). I’m also working on a project for the Corey Holcomb 5150 Show to livestream his show. The best part of all this is sitting down with people and understanding their visions and being able to offer solutions that cater to them and helps them solve problems. I try to approach projects from a goal-based perspective. I just finished designing some banking user interfaces for some international banks (account summary, bill pay, etc.). I designed the UI using the flat design concept and also provided front-end development work. The back-end of the application was done using Java. I’m also working on some cloud storage mobile apps for AT&T, which involve going over design problems and coming up with better user experiences based on user testing. Who knows! I’d probably be doing something with real estate or helping kids. 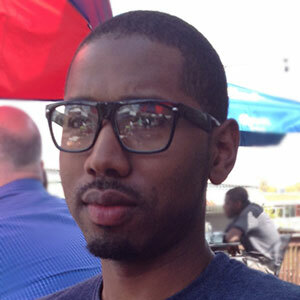 About Landon: Landon Williams is a UX designer, front-end developer, and entrepreneur. You can find him at his business website, as well as on Facebook and Twitter.